May the light always find you on a dreary day. When you need to be home, may you find your way. and never find frogs in your underpants! 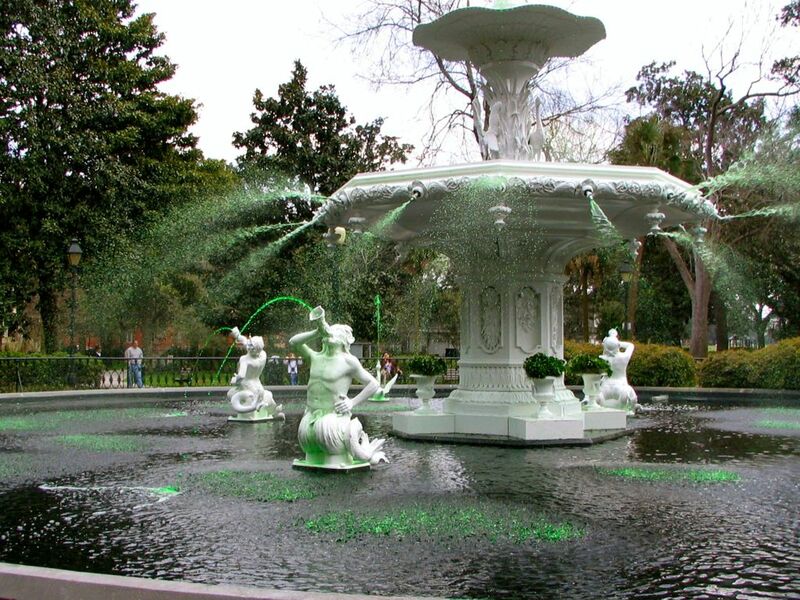 The Forsyth fountain befittingly turned green for St. Patrick’s Day – Savannah, Georgia! March 17, 2015 in Americas, Postcard, United States. 2015 was Awesome, 2016 will be Amazing! Join us on our travel adventures during our one-year trip around the globe. Where in the World are the White’s?